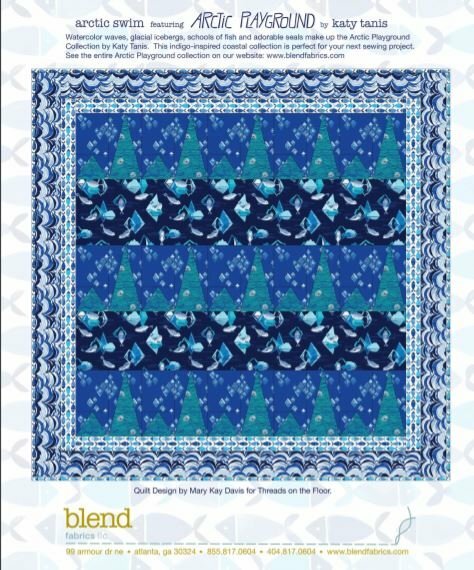 Adorable seals, watercolor waves, glacial icebergs and schools of fish... All are part of the Arctic Playground fabric collection by Katy Tanis for Blend Fabrics. Quilt design by Mary Kay Davis for Threads On The Floor. Finishes to 57" x 56"